Veneers help give your patients the smile they’ve always dreamed of having. Our dental lab provides custom-made veneers that can transform the shape and color of your patient’s teeth, exuding the look of vitality and confidence. Just two appointments can change the way your patients experience life – all thanks to a thin, translucent exterior shell place atop the surface of the teeth. Dental veneers have long been used for cosmetic purposes among people who are displeased with the natural appearance of their smiles. Our veneers can provide greater symmetry to the face, reshape a chipped tooth, and help your patients achieve a brighter, whiter smile than is possible with traditional tooth whitening. Put our team to work for you, and let us fabricate custom veneers to help give your patients the smile they deserve. We offer solutions to fit your needs and the needs of your patients. 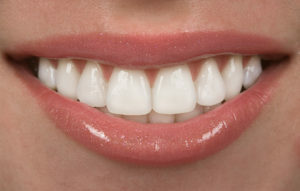 Both porcelain and ceramic veneers are bonded to the teeth and require minimal prep work. Their translucent appearance provides life-like esthetics, while the durable composition allows them to stand up to the demands of everyday wear and tear. Once you meet with your patient to discuss the goals for cosmetic treatment, you will reduce the patient’s teeth to prepare them for bonding. Then, take an impression and send it to our lab so that our technicians can begin working on your patient’s new smile. We will work quickly and diligently to prepare your patient’s veneers according to your specifications and return them to your office for placement. Our veneers are unlikely to stain and are resistant to fracture. When well cared for, they tend to last for many years, and even decades before needing to be replaced.